As we hiked up a small side canyon that was a little tough to access, I wasn’t quite sure what, if anything, we would find. When I spotted this large vibrant white pictograph off in the distance, I knew it was something cool. 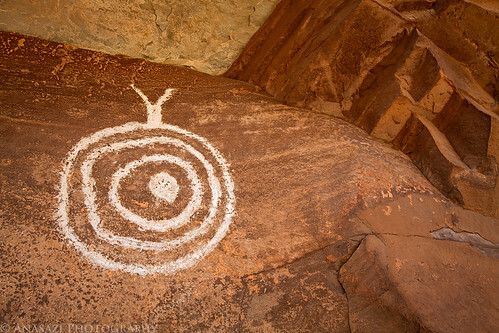 There was quite a bit of other rock art in this small side canyon, but I have to say that this unique figure was my favorite of them all.